Whenever we’re in a mood to learn something new or want to briefly step away from the entertainment side of films, chances are we will tune in to some sort of documentary. In terms of time, most documentaries can last anywhere from 30 minutes to 2 hours. But, did you know that documentaries can also last the length of an average short film? The National Film Board recently launched on its website a short documentary film project called 5 Shorts Project. This initiative is a film production partnership between the NFB and various Quebec artist-run production centres. At the Beach by Jeremy Peter Allen – burn victims enjoy a day at the beach. Hey Lou! by John Blouin – scenes of life and death are contrasted together. Hell Runs on Gasoline! by Martin Bureau – a look at car racing close-up. World of Passage by Nadine Beaudet – container ships float on the St. Lawrence. Interview With a Free Man by Nicolas Lévesque – incarcerated men interview for jobs. The combination of the documentary and short film formats worked really well with these films. The production quality made it feel as if you were actually in the films with the other participants. Just like a short film, the length of these documentaries was enough so that the stories could be told concisely while stirring up the viewer’s imagination. Short Film Fan Pick: Interview With a Free Man. The next set of short documentary films for 5 Shorts Project will be made in partnership with La Bande Sonimage. 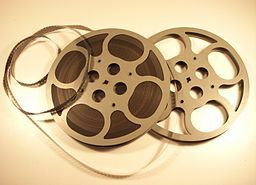 VERY interesting selection of short films .. and excellent commentary from you!!! The editing of the films, and the patience required to make them is amazing. These are all films I would not normally ever be exposed to if it were not for your amazing site… and each one is an eye-opener in it’s own special way!!! Hi Ken. Glad you liked the post and the films. The NFB will be making more of them in the future and they’ll most likely be available on their website, too.